The delivery of bamboo flooring arrived a couple of weeks ago, but it had to be unpacked and allowed to aclimatise before being laid. 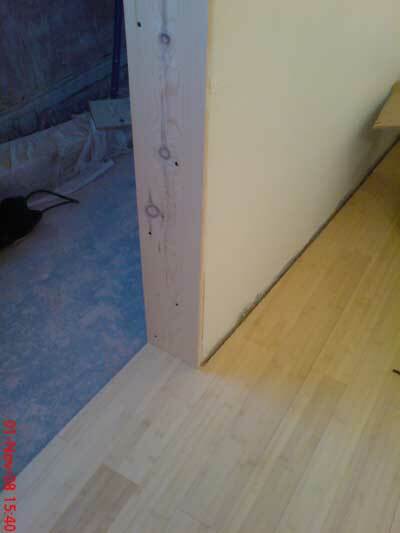 Bamboo flooring is great! 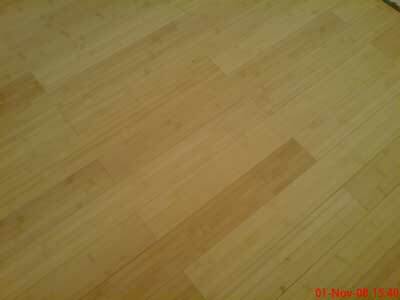 It looks as good as any hardwood floor but is stronger and very easy to manipulate. It is also very eco-friendly. It only takes 5 years to grow to maturity and is a sustainable resource. It is priced at around the same price as laminate flooring … so there is no comparison really! 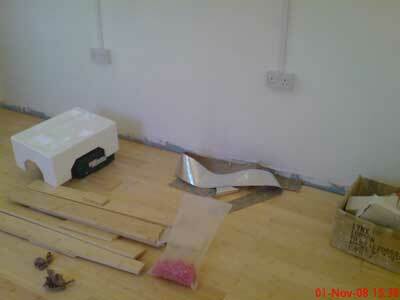 The whole floor with underlay was completed in only 5 hours. We have started fitting the door casings this week. There are 4 fire doors to fit, two in the studio itself, and two in the hall. Even though fire doors are solid, they are each still going to get an additional 3 layers of plasterboard and Green Glue. So the final stages of construction are upon us.